The companies which compete with each other and bring out the best in themselves are the companies to have a look at and you can find that the Mahindra and Mahindra company is one among them. Mahindra Cars have been providing charismatic performance from past many years specially in SUV segment. Its Bolero, Scorpio, XUV 500 and Xylo have been very successful in Indian market and have been exported to other countries also. Mahindra and Mahindra Company being one of the most popular companies in the automobile market, have launched their much awaited car of the year, Mahindra Quanto first compact SUV car. It provides superior technology with distinctive SUV styling which makes it look attractive and it has best in class features. The targeted customers are the younger generations who live life on their own terms and a healthy life style is what they lead. 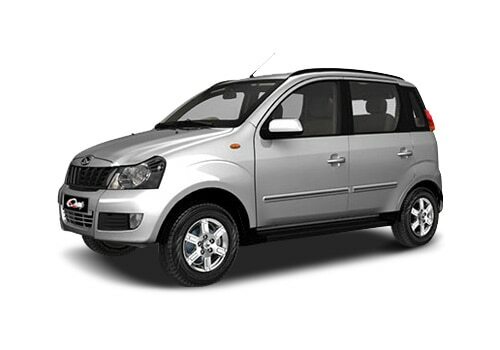 Mahindra SUV Quanto is versatile with a styled look and features to die for. It is first of its kind in sub-4 meter still a 7 seat (5 adults and 2 jump seats) SUV of India. The Quanto is based on ingenio platform. The company has launched 6 colors namely diamond white, mist silver, java brown, rocky beige, toreador red and fiery black. 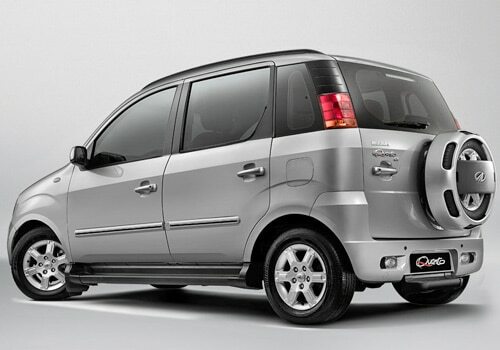 Mahindra Quanto SUV’s looks are similar to its brother Xylo and thus many people are also calling it Mahindra Mini Xylo. The Mahindra Quanto features 3-cylinder, 1.5 liter, twin turbo charged CRDi diesel engine that is called mCR1000, mated to a five-speed manual transmission gearbox helping the SUV car to give out maximum of 100bhp and 240Nm of torque. The twin-turbo diesel is given to Quanto and it is the smallest Twin turbo diesel in the world that over all fine tunes the performance of the car. It gives a fuel economy of 17.21kmpl. It is first vehicle by M&M having 7(5+2)seats in sub 4m class. The Mahindra Quanto is packed with a variety of features that include intellipark Reverse Assist, Digital Drive Assist System (DDAS), micro hybrid technology and 2 DIN music systems with CD, MP3, USB and Aux in. To make it comfortable for the driver and the passengers, there are magazine pockets, 5 bottle holders and under seat storage. The car is available in four variants- C2, C4, C6 and C8. The Mahindra Quanto price ranges from Rs 5.82 lakh for base C2 model, to Rs 7.36 lakh for completely loaded top end C8 model. C4 model is priced at Rs 6.35 lakh and the C6 model priced at Rs 6.86 lakh. I recently shared that Renault to increase prices of Duster by Rs. 40000.